Ruth Wilson Joins Glenda Jackson’s King Lear, Directed by Sam GoldPhilip Glass is also writing the music. Room Director Finds Another Claustrophobic Space in The Little StrangerIt continues the themes of a woman trapped in a hostile environment. Ruth Wilson Says There’s ‘A Much Bigger Story’ Behind Her Affair ExitSo what is the truth! 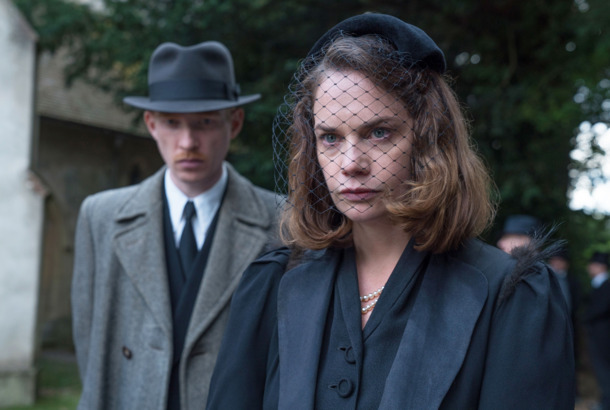 Ruth Wilson Says She Had ‘No Say’ About The Affair DeathShe had other ideas. The Affair Reveals the Shocking Truth Behind a Major DeathThe answer was right in front of us all along. The Little Stranger Trailer: Why Do People Insist on Living in Scary Houses?Starring Domhnall Gleeson, Charlotte Rampling, Will Poulter, and Ruth Wilson. Watch Netflix’s I Am the Pretty Thing TrailerHope you enjoyed books and elderly people while you could. Report: Emily Blunt May Join The Avengers 2As Ms. Marvel. Schwartzman, Giamatti Join Mary Poppins BiopicAlong with the psycho killer lady from Luther.